On 24 May 2018, the Government announced a one-off, 12-month amnesty (the Amnesty), and introduced legislation into Parliament, which allows non-complying employers to self-correct any unpaid superannuation guarantee (SG) amounts dating back to 1992. This article explains the Government’s latest attempt to tackle the SG gap problem. Why is there a need for the Amnesty? The announcement of the Amnesty by the Minister for Revenue and Financial Services, Kelly O’Dwyer, which is proposed to have immediate effect from 24 May 2018, caught the community by surprise. According to the media release, the ATO estimates that in 2014–15, around $2.85 billion in SG payments went unpaid. Of concern is that this estimate pertains to just one income year. [the Government is] introducing this one-off Amnesty to allow employers to wipe the slate clean and pay their workers what they’re owed. All Australian workers should be paid the entitlements they are owed. improving the effectiveness of the ATO’s various recovery powers, including director penalty notices. While the Amnesty was not anticipated and is indeed generous, practitioners would be familiar with the ATO’s use of amnesties in recent years, mostly in relation to undisclosed foreign income. Such amnesties may appear ‘unfair’ from the perspective of those who fully comply with the law. Perpetrators who previously have not made any effort, and possibly have no intention, to right their wrongs are perceived as ‘getting away’ with their wrongdoings, while those who made voluntary disclosures to the ATO and corrected their wrongs before the Amnesty was announced will receive no reprieve. When is the Amnesty effective? The Amnesty will last for 12 months, commencing on Thursday 24 May 2018 and ending on Thursday 23 May 2019. The Amnesty applies only to disclosures of previously undeclared SG shortfall amounts that are made during the 12-month amnesty period and the disclosures relate to the quarters starting when the SG regime commenced and all subsequent quarters until and including the quarter starting on 1 January 2018 — that is, the period from 1 July 1992 to 31 March 2018. This is an astonishing 26 years. The benefits of the Amnesty will not be available for SG non-compliance that occurs on or after 1 April 2018. When is an employer eligible for the Amnesty? not have been previously informed that the ATO is examining (or that it intends to examine) the employer’s SG compliance for the relevant quarter. According to the Explanatory Memorandum (EM) to the Bill, an ‘examination’ of an entity’s affairs includes reviews, audits, verification checks, record-keeping reviews/audits and other similar activities. An employer may still qualify for the Amnesty if it has previously made disclosures about an SG shortfall for a quarter but comes forward with information about additional amounts of SG shortfall for that quarter. the administration component for the quarter (being $20 per employee per quarter). the general interest charge (GIC) on the unpaid amount. Further, aside from the GIC, any amounts payable are non-deductible including the Part 7 penalty. Where an employer makes a voluntary disclosure under the Amnesty, the administration component of $20 per employee per quarter will not be payable in respect of SG shortfalls for employees who are included in that disclosure. An employer with 100 employees for a quarter covered by the Amnesty previously had individual SG shortfalls identified in respect of 40 of those employees for the quarter. Prior to the Amnesty, the employer’s SG shortfall (calculated in respect of the 40 employees) included an administration component for each of those employees. During the Amnesty, the employer discloses that they recently became aware of a small individual SG shortfall in respect of all 100 of their employees. For the original 40 employees, this amount was in addition to the individual SG shortfalls originally identified. As this disclosure occurred under the Amnesty, the employer does not have an administration component included in their (increased) SG shortfall for the quarter. However, the employer still has an administration component in respect of the original 40 employees. The Part 7 penalty will not be applied to catch-up SG payments made during the Amnesty period. Catch-up SG payments made between 24 May 2018 and 23 May 2019 will be tax deductible, i.e. in the 2017–18 and/or the 2018–19 income years. This includes payments made to the ATO in the form of the SGC, as well as contributions made directly to their employees’ superannuation funds that an employer has elected to offset against the SGC under s. 23A of the Superannuation Guarantee (Administration) Act 1992. If the employer enters into a payment plan with the ATO (see below) that extends past 23 May 2019, any payments made after that date will not be deductible. An employer must disclose to the Commissioner information related to an SG shortfall for the relevant quarter(s) and pay the outstanding SG amounts. The employer must pay the SG shortfall plus the nominal interest component from the start of the relevant period to the date on which the SGC is payable. This ATO calculator may assist. Further, the ATO will still impose GIC that accrues on the SG shortfall. the employer can pay the SG shortfall, the nominal interest and the GIC directly to the employee’s superannuation fund as an offsetting contribution (see below) — this is termed a contribution. There are two options for paying the outstanding SG amount and lodging the information with the ATO. Where the employer can pay the full SG shortfall amount directly to the affected employees’ superannuation fund(s), the employer needs to complete the SG Amnesty fund payment form and submit it to the ATO electronically through the Business Portal. The employer’s registered tax agent or BAS agent can also submit it via the Tax Agent Portal or BAS Agent Portal. The employer must pay the full SG shortfall amount — including the nominal interest component — directly to the superannuation fund(s) on the same day that the form is lodged. This option would be suitable in circumstances where the SG shortfall relates to current or recent employees and the employer is able to confirm that the superannuation account information in their records is up to date. Further, this method is permitted only in relation to periods for which the employer had not previously been assessed for the SGC. Where the employer is unable to pay the full SG shortfall amount directly to the affected employees’ superannuation fund(s), it needs to lodge the SG Amnesty ATO payment form with the ATO. The form can be submitted electronically through the Business Portal. Alternatively, the employer’s registered tax agent or BAS agent can submit it via the Tax Agent Portal or BAS Agent Portal. In this case, payment is not made to any superannuation funds but to the ATO. The ATO will contact the employer to arrange a payment plan. The employer may start payment before the ATO makes contact in order to reduce the GIC. This option would be suitable where the affected employees have since departed the organisation and the employer is unable to ascertain their current superannuation account details. in relation to periods where the employer had already lodged an SG statement or received an SGC assessment. fails to comply with the terms of a payment plan that has been entered into. If an employer is notified by the ATO that it is no longer eligible for the Amnesty, they may need to renegotiate the payment plan to remain eligible. When an employer no longer qualifies for the Amnesty in respect of a period, the ATO will amend the SGC assessment for the period to include the administration component, and Part 7 penalties (at the rate of 200 per cent of the SGC amount) may apply. Future payments of the SG amounts will not be deductible. Defaulting on a payment plan may also expose the employer to other debt recovery action. The employees will receive the SG shortfall amount plus the nominal interest component. Notably, employees will also receive the GIC that accrues on the SG shortfall amount. where the employer pays the SGC amount directly to the superannuation fund — the employee will need to apply for the discretion under s. 292-465 of the ITAA 1997. Contributions made under the Amnesty do not count towards the employee’s income or contributions for Div 293 purposes (which taxes the contribution at the rate of 30 per cent where the individual’s income for this purpose exceeds $250,000). 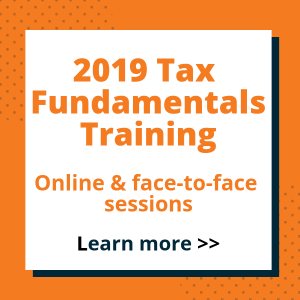 This ensures that an employee cannot exceed their concessional contributions cap or be liable for a Div 293 tax liability as a result of their employer making a payment or contribution under the Amnesty. Presumably, the anticipated revenue comprises tax on superannuation fund earnings arising from the catch-up SG amounts paid during the Amnesty period. 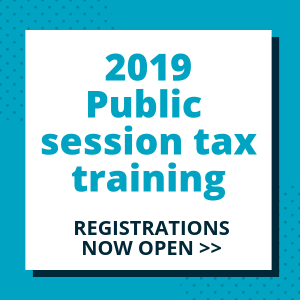 The estimated $48 million revenue in 2018–19 would also include the contributions tax revenue expected to arise from the payments of historical SG shortfall amounts before the Amnesty ends on 23 May 2019. While the Amnesty allows the employer to either make payments of SG shortfall amounts directly to the ATO, or make an offsetting contribution directly to the employee’s superannuation fund, it is expected that most employers would pay the SG shortfall amounts to the ATO and not directly to the superannuation funds. An expected consequence would be that, through the Amnesty, the ATO will acquire the details of those employers who have been non-compliant in the past — whether deliberately or through misinformation. The ATO has made it clear that there will be no second chances for these employers in the future. Once the Amnesty period ends, full SGC penalties will apply, including a minimum 50 per cent penalty on top of the SGC amount payable. 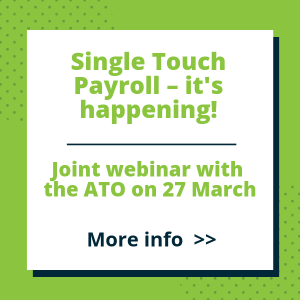 Significantly, the implementation of Single Touch Payroll from 1 July 2018 for employers with 20 or more employees (and proposed to apply from 1 July 2019 for smaller employers) will help ensure that the ATO can identify non-compliance faster and more easily than it has in the past. While the Amnesty is optional for employers, whether an employer decides to take advantage of it or not will have a bearing on the consequences if future ATO activity identifies a historical shortfall (i.e. an employer’s failure to make a disclosure under the Amnesty will affect the penalties they face if the ATO subsequently determines that they have not complied with their SG obligations). The ATO has warned that where employers do not self-correct SG shortfalls during the Amnesty, they may face higher penalties in the future. In determining any remission of the Part 7 penalty, the ATO will take into account the employer’s ability to access the Amnesty. While the Commissioner must consider the particular circumstances of each case, generally a minimum penalty of 50 per cent of the SGC will apply to employers who could have disclosed during the Amnesty but chose not to. The Amnesty is not yet law! The Treasury Laws Amendment (2018 Superannuation Measures No. 1) Bill 2018 has been referred to the Senate Economics Legislation Committee which is due to report on Monday 18 June 2018. Both Houses of Parliament are scheduled to sit during that week — this is the earliest time that the Bill will be passed. 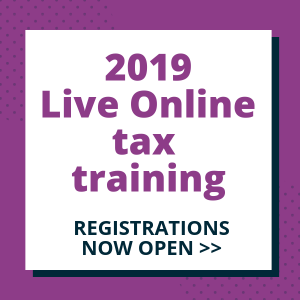 This leaves less than two weeks for employers to make good any unpaid SG shortfall amounts and claim tax deductions for those payments in the 2017–18 income year with certainty. Where an employer chooses to disclose and pay historical unpaid SG before the Bill becomes law, the Amnesty is not yet in place and therefore the ATO will treat this as a standard voluntary disclosure of an unpaid SG amount. This means that the ATO will impose Part 7 penalties and the administration component, and the catch-up payment will not be deductible to the employer. All employers should be encouraged to pay their workers’ entitlements in full regardless of any tax benefits. An employer’s obligation to pay SG amounts is not a tax akin to payroll tax or Workcover. It is remuneration paid to their employees for their services — albeit paid to their superannuation funds rather than directly to the employees. We shall monitor the progress of the Bill and report any developments in a future post or via our LinkedIn page.